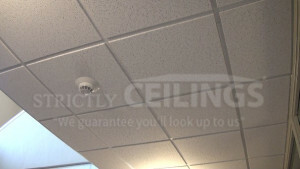 Having damaged ceiling tiles can be very unsightly. Tiles get damaged because of various reasons like constant removal and replacement of the tiles, objects striking the tiles like pool cues or leaks from pipes or from the floor above. 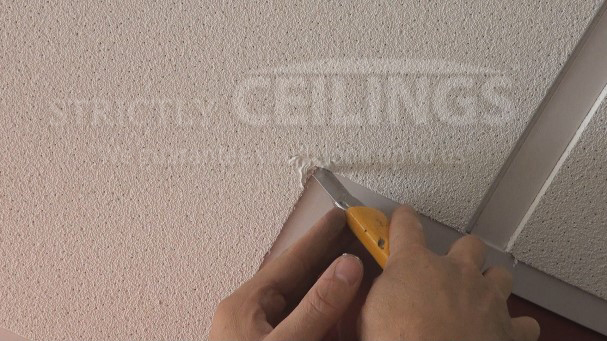 You can keep your drop ceiling tiles looking great by repairing them quickly and easily. 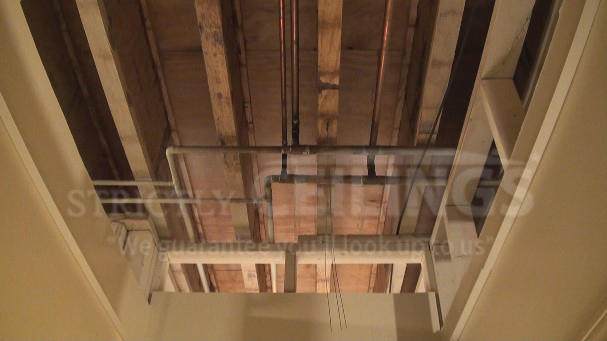 Most basement drop ceilings have fiber based ceiling tiles in them so this is what we will look at repairing here. 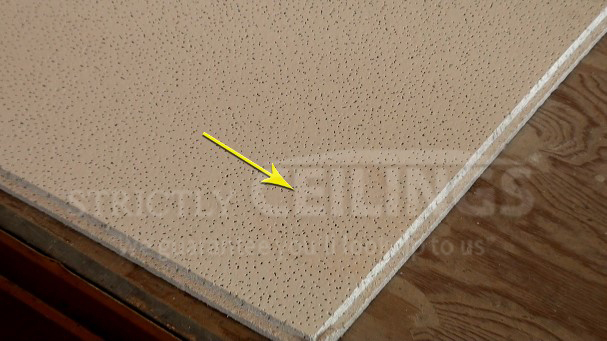 Typically most fiber based ceiling tiles are repairable if scratched, nicked or gouged. Rougher textured tiles are more repairable than ceiling tiles with smoother textures. Ceiling tiles that are water stain damaged can be repaired as well, but are more difficult. Vinyl drop ceilings tiles are not repairable in any way if scratched, dented or broken. Remove all the loose fibers from the damaged area. Carefully apply the caulk to the damaged area and work it in with your finger trying not to get the caulk beyond the damage point of the tile. Apply additional applications if necessary to correctly fill in the blemish. Once enough filler is on the tile, try to shape the caulk to fit the contour of the tile. I like to use my utility knife for this. Match the texture of the tile by smoothing the caulk or lifting the caulk so that it blends in. Remove the damage ceiling tile from the ceiling grid. Place the ceiling tile on a flat surface. Apply shoe polish to the damaged area. Keeping your ceiling tiles looking good will give people a good impression about your space when they come into your office or into your basement. 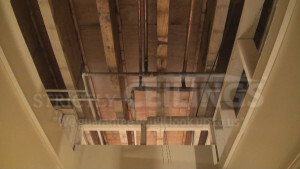 Install the ceiling as high as possible to avoid anyone from coming in contact with the tiles. This would include building slopes at the bottom of stairs or building ceiling drops to increase headroom. If you need to have access above the ceiling, “lift” the tiles and place them above another tile. Do not slide the tiles over the grid work, as this will damage the tile. Before you install your ceiling tiles, make sure that you cover all water supply lines with insulation to prevent condensation from building up and dripping on the tiles below. If you are installing a new drop ceiling and have damaged tiles when you open the cartons or you have a carton that looks to be in bad shape, try to use that carton first on the border tiles. Many times all of these tiles can be used up without having to waste any. Watch the full video to see exactly how to repair damaged ceiling tiles as well as tips to help you with your project.